Articles — Gift Horse + Co. Cool marble and cozy faux fur for a winter birthday gift. A perfect spring centrepiece for your Easter table. Mess-free Easter egg decorating with washi tape. Wanted to share some recent work that I did for a client. I wrapped this batch of gifts for Harry Rosen, which was sending them out to some of its clients. The packaging is straightforward — paper and ribbon — but I'm really happy with the tailored simplicity of the combination. The paper is Harry Rosen's signature houndstooth pattern (I wish I could have some for myself! ), and I paired it with chocolate brown grosgrain ribbon. A doubled half-bow adds interest. I think he gifts turned out really well! I'll be moving over all the best content from this site, and adding lots more inspiring DIY projects and how-to wrapping guides to the new site. Thank you for reading and supporting me here — I hope you'll join me in my new home! When I design custom gift packaging, I start with the company's branding — any gift they give, whether to a client, potential client, staff or vendor, has to reflect who they are, as well as surprise and delight the recipient. After all, corporate gift giving is about building relationships and making sure people remember you and your company. When my friends at Tavanberg Communications, a content agency here in Toronto, asked me to wrap a couple of gifts for their clients, I knew immediately what colour palette and motif I wanted to use. Their corporate colour is teal and they use peacock imagery on their website and throughout their promotional materials. Their slogan — Storytelling that gets you noticed — meant they needed packaging that was as captivating as the content they create for their clients. For Tavanberg's gifts, I selected a matte teal paper and bold grosgrain ribbons, pairing them with peacock feathers. While the feathers are quite luxurious, I wanted to keep the paper and ribbons modern to match the Tavanberg brand. Now the company has a branded packaging look that's flexible enough to be used for all their corporate gift giving — and it's sure to get them noticed! Giving client gifts of your own? 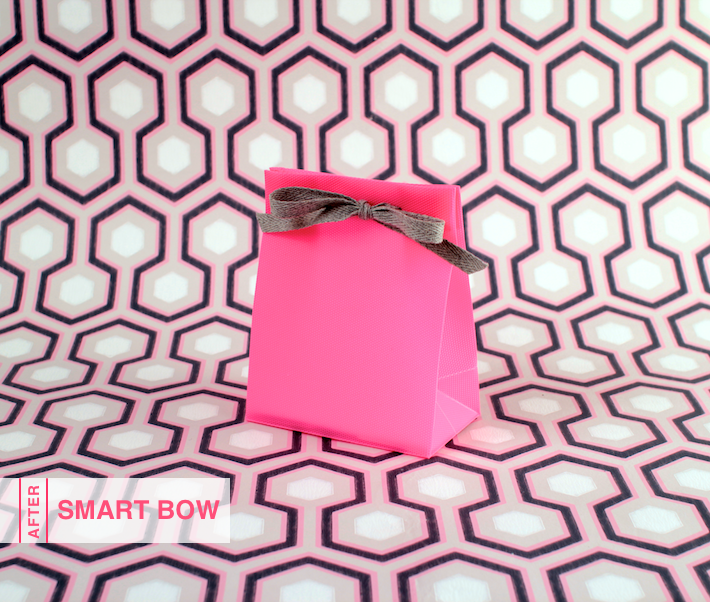 Contact me to have branded gift packaging created for your business! 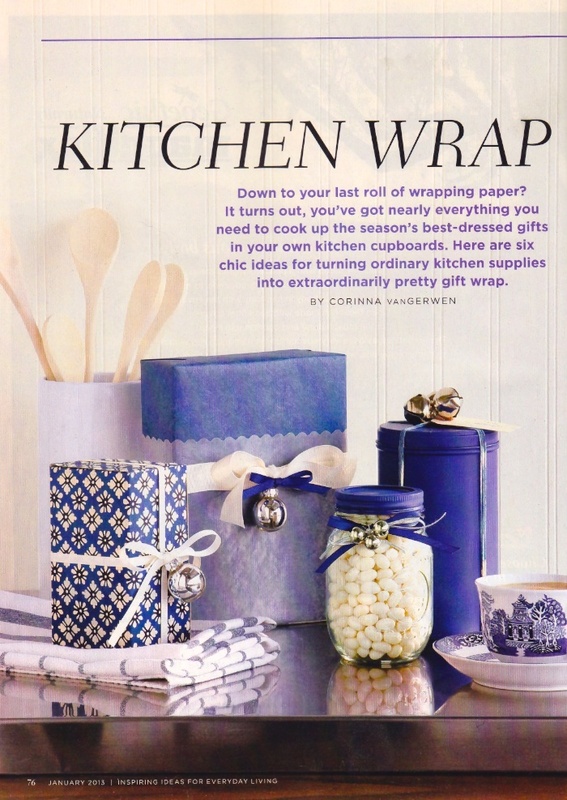 Once again the wonderful folks at House & Home decided to interview me for some gift-wrapping ideas. This time I'm sharing some Easter-themed ideas and tips. Some I've shared here before, but there are some new ideas too. Check it out here. 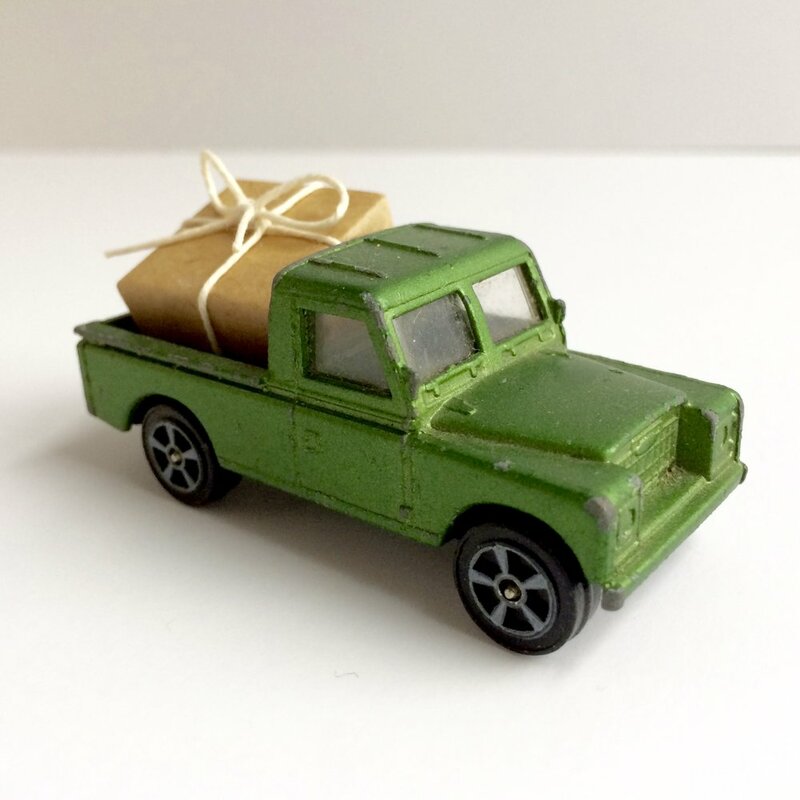 [youtube https://www.youtube.com/watch?v=uuF8oBvUrig] Here's a look at my most recent project: a holiday gift wrapping video that I did for GEICO. While the tips aren't entirely mine, the video offers a good basic guide to any shaped gift you might come across. I did the styling and hand modelling (#secondcareer?). Thank you to the wonderful art director Kevin, videographer/editor Jason, assistant Jared and producer Jenn — it was such a fun shoot to be on! A small FYI for all you Pinners out there looking for more gift wrapping inspiration: I've started adding more gift wrapping boards to my collection. 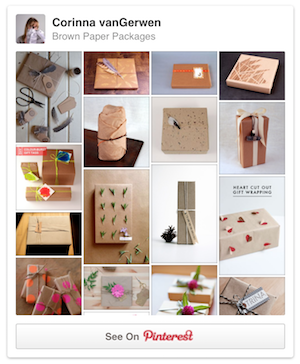 In addition to my general Gift Wrap and Packaging board, I've also created a pin board for Brown Paper Packages (there's just so many great ideas for wrapping with kraft paper!) as well as one filled with ideas on how to wrap foods and drinks. 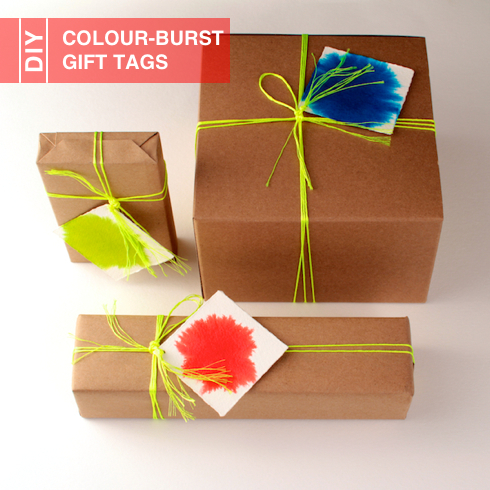 Want even more gift wrapping tips than what you'll find here on the CorinnaWraps blog? Sign up for my newsletter! The newsletter has been on hiatus for a little while, but it returns this weekend with an advance preview of a tutorial for the dreamy DIY gift topper you see above. Every edition also features exclusive tips you won't find on the blog, plus news of events and more. Sign up by Friday at midnight [Update: That'd be midnight Eastern Time] so you don't miss out! + Giving cash? Here's how to dress up the envelope with lace. + For the couple who wants to make a charitable donation in lieu of giving thank you favours, here's a nice way to let your guests know of your generosity. + Personalize your gift with a portrait of the bride and groom with this DIY project. 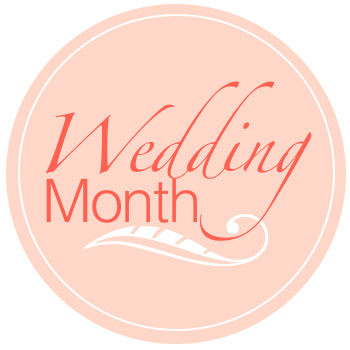 + Looking for a pretty way to decorate for your wedding or a bridal shower? Purchase one (or a few!) of my DIY wreath kits. Once again I've been gift wrapping with the cute and clever crafty goods from Omiyage. Visit the Omiyage blog to see my guest post today. Have you seen the January issue of Canadian Living yet? 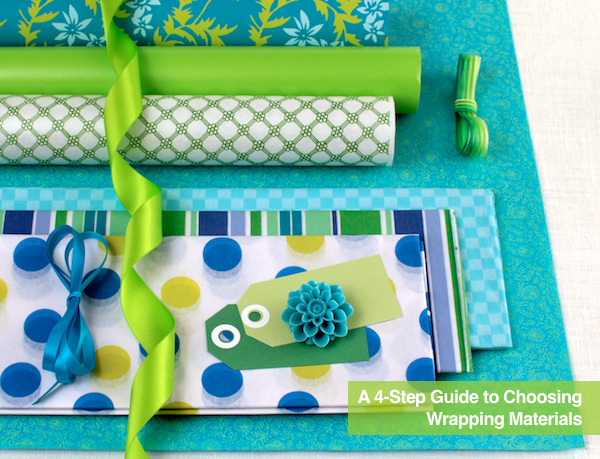 On page 76 you'll find an article I've written about using kitchen materials for wrapping presents. I promise you, you've never seen wax paper, doilies and paper lunch bags look this good. Go get a copy! Here it is! My first TV appearance. On Monday, I shared a few of my gift wrapping tips on the television show Daytime Peel (a local cable show for the Peel region, near Toronto). Watch the video here (start at 10:45 in the video). The show will be on today at 4 p.m. and 10 p.m. as well as 11 a.m. tomorrow. I'll let you know how it goes! 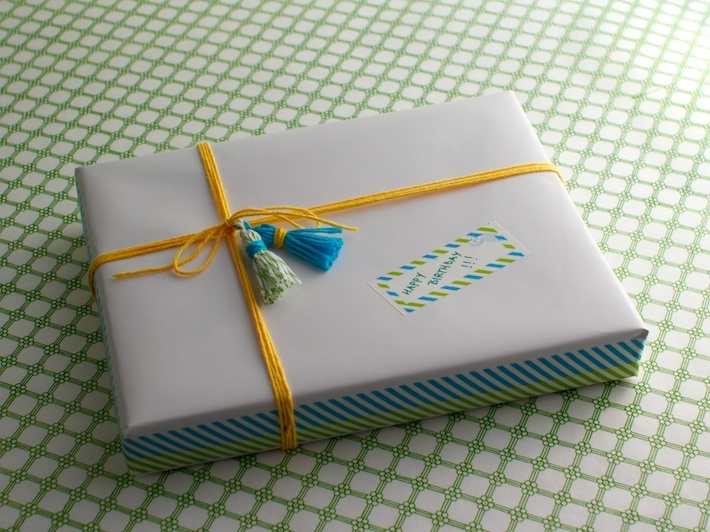 Want to know one of my secrets to wrapping pretty presents? Using beautiful materials! That's why I'm glad to count The Japanese Paper Place — an international wholesaler of fine Japanese papers — among my list of friends, suppliers and clients. Their catalogue of papers is phenomenal. Above is a gift that I wrapped using their blue chiyogami, white gira pearl and unryu silver papers. 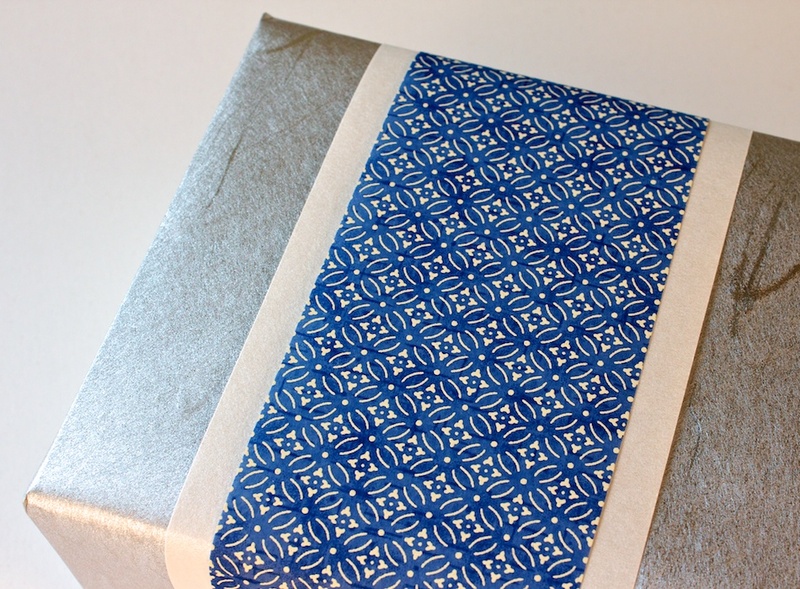 If you'd like to see more innovative ways to use Japanese papers for gift wrapping, next Wed., Dec. 12, I'll be gift wrapping in the Japanese Paper Place gallery all day as part of the company's Washi Wednesday event. From 11 a.m. to 7 p.m. you can stop by 77 Brock Ave., Toronto, and watch and learn as I use some of the JPP's exquisite papers to wrap gifts. You can even get a tour of the warehouse and see the wall of chiyogami, as well as buy a few select papers on sale. Visit the JPP website for details. 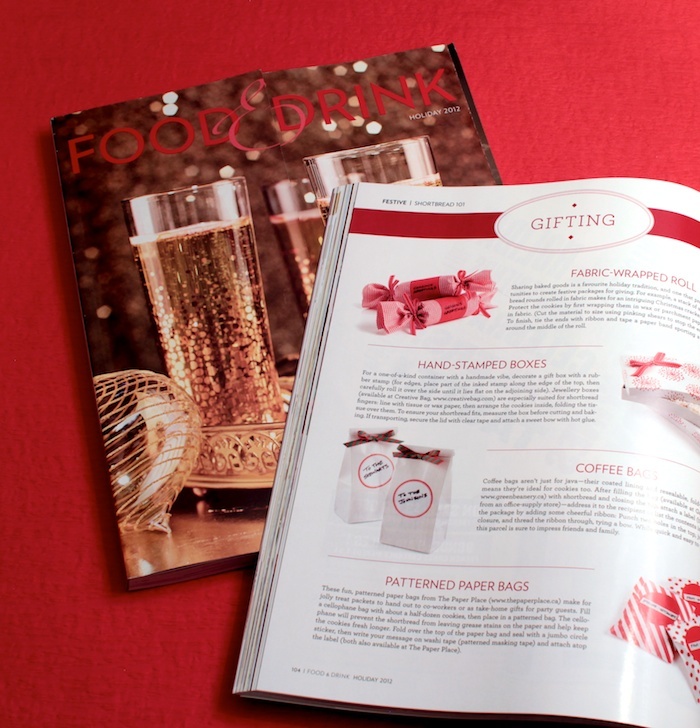 Hey, Ontarians: If you haven't picked up a copy of the LCBO's Food & Drink Holiday issue yet, get on it before there are none left! Why? Because on page 104 you will find four ideas on how to package your homemade shortbread — by yours truly, of course. So march on down to your local liquor store and pick up your free copy, STAT! And... what better time than to remind all you readers in the Toronto area that I have a cookie packaging workshop coming up this Tuesday? UPDATE: THIS WORKSHOP HAS BEEN CANCELLED Well, actually, it's more than just a packaging workshop — it's a cookie exchange too. So bake up a batch or two of your favourite cookies and bring them down to The Paper Place to learn how to package them really nicely for holiday gift giving. It's going to be so much fun! The class is $45; call or drop by The Paper Place to register. It's time to start thinking about holiday baking! To get yourself ready for the seasonal giving of baked goods, may I suggest that you come to my cookie exchange and packaging workshop next week? It will be Tuesday night at my favourite neighbourhood paper store, The Paper Place, on Queen St. W. in Toronto, and it will be tons of fun! Bring a batch of your favourite cookies and learn lots of fun ways to bag, box and wrap them for gift giving and sharing. Call or drop by The Paper Place to register — sign up while there are still spots! PS — You'll get a chance to make my popular washi-tape twist ties using some of The Paper Place's fabulous selection of tapes. PPS — Cookie Week is coming up on the Corinna Wraps Blog too. Watch for it in December! [youtube http://www.youtube.com/watch?v=bVeyGnKlfZU?rel=0&w=640&h=360] Finally! I am very excited to share with you a project that has been in the works since the summer: a gift wrapping video I did for Indigo! In it, I show you how to wrap one of my favourite gifts for the holidays: a tower of books. And no, I'm not just saying that for the camera; I have been known to give my mom a stack of several books for Christmas. My parents are retired, which means my mother — having always been a voracious reader — consumes even more books than she ever has. To keep costs down, I usually shop remainder tables for inexpensive titles. Let me know what you think in the comments, and please like, share and tweet! There are a few more spots in my Frosty Wreath workshop tomorrow. If you're in the Toronto area, sign up — I promise you a fun night of crafting! 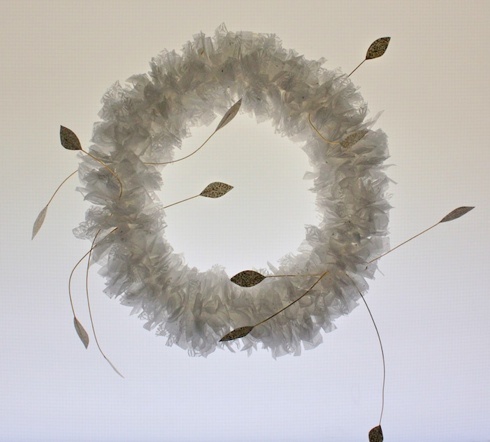 The wreath we'll be making in class is simple, but the process can be addictive and the end result is stunning. It's a great way to decorate your home for the holidays, or the wreath also makes a thoughtful homemade gift. For full details and info on how to register, visit The Paper Place website. Hope to see you there!